Join us for the first ever FC St. Pauli Toronto Fans meet-up. 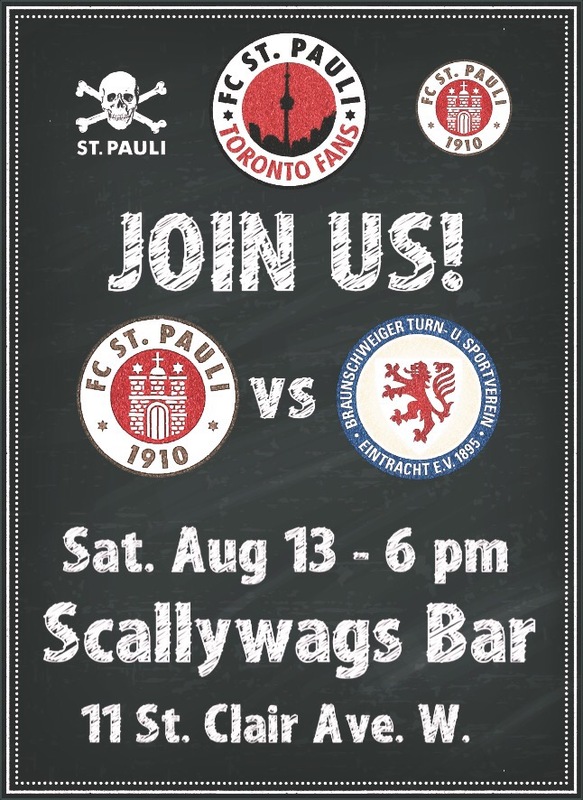 It’s FC St. Pauli vs Eintracht Braunschweig for #FCSP ‘s season home opener and we’ll be @Scallywagsbar to celebrate. See you there!